RuReady4Savings: FREE Cafe Escapes Milk Chocolate Hot Cocoa K-Cup 12-Count Box! 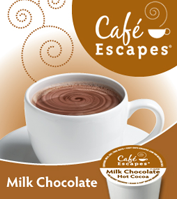 FREE Cafe Escapes Milk Chocolate Hot Cocoa K-Cup 12-Count Box! to get FREE Cafe Escapes Milk Chocolate Hot Cocoa K-Cup 12-Count Box!